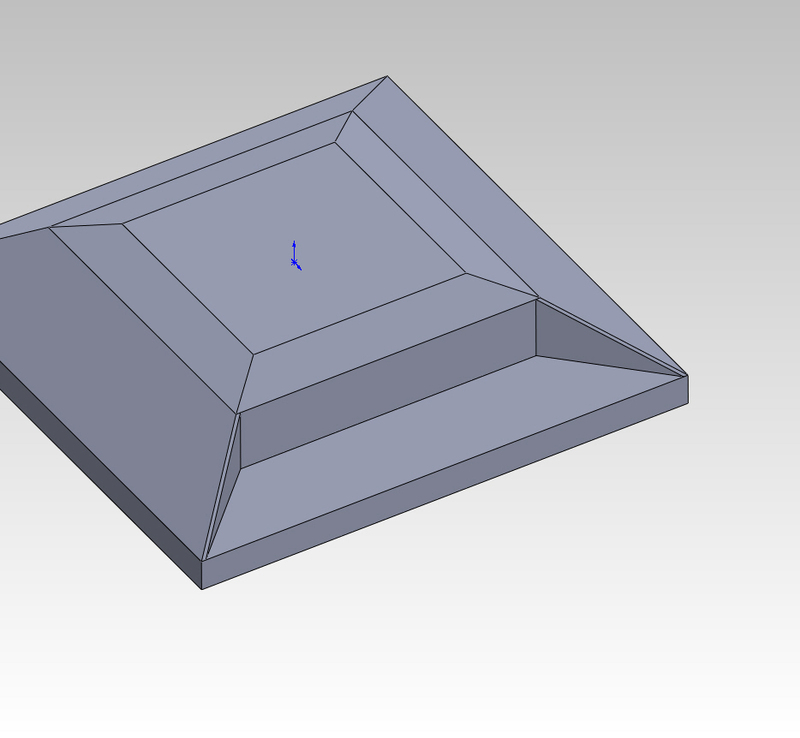 I made a plastic enclosure to be molded, although I could not finish a shell on the base part, so I had to rely on the plastic injection company designer (Chinese) which seems to be too busy to follow instructions properly; and he's using a different program (Pro/E UG). Point is, I can't rely on him and I'd like to do it myself in the future. This is where i need your help. In order to make the thing myself, I need some serious help. I need to fix the base part design, and round out the four sharp edges (see image) so that I can pull off that shell. I don't want any sharp edges. Unfortunately, I couldn't figure out how to make surface flow consistently. There must be something wrong with my methods. The corner of the display/surface part also got chewed up by the shell.. no idea.. I TRIED to attach the 3D part but the limit is too small (i need 15MB and dropbox is blocked in China.. HATE), I rolled back to a previous state before the bosses, ribs, snap hooks, port holes, etc.). Who knows? Maybe it's easy for you. If you want to give it a shot, just email me at matt_thetulip at hotmail.com and I'll send it to you and you can send it to me back if you figure it out. I'll unveil the methods in which you used in this post thereafter, so everyone can benefit. Ok, so far, no hits.. (probably because the file is not readily available), no problem. Since I can't give you the real deal I've made a similar problem with a simplified model (as attached). The goal is to apply a 1mm radius to each edge. 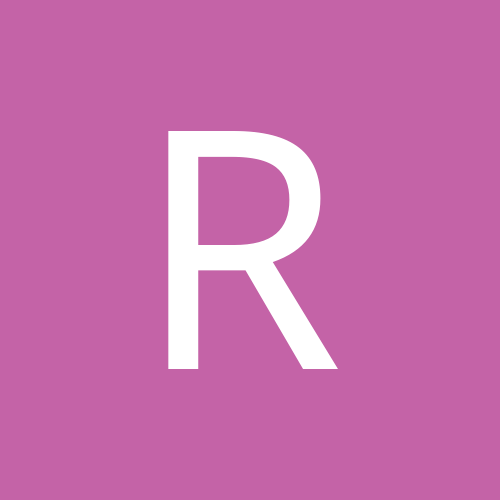 Try it out, and let me know the work around or perhaps a better method that should be used. You know what, I don't think it's enough to lure you guys in. So I've gone ahead and gutted the original design of all its features, sketch relations and some history. After that, I can gladly share what's left. So check out the attachment for the SLDPRT file containing the sketches which i used to build the enclosure. The last sketch in the history tree named " efforts to fix it " is the one which I tried manually rounding out those edges since the Fillet couldn't handle it. I then tried a surface loft to tie it in with the rest of the enclosure, but it made the corners have a sort of old wrinkly skin effect. I also tried stitching a bunch of boundary surfaces together. The shape was ok, but the boundary surfaces curves didn't match up with one another. I will very much appreciate any help. See if this is what you are after. Generally you want to try and avoid designing parts that terminate with sharp intersection points as this does create filleting issues. You can see how I addressed this in the attached images and solidworks file. Wow! Thanks alot vander, you're one of the good ones. Well that solves the Fillet issue and proves that the blocky design approach can work, I can even pull off the shell. Key point: Try to avoid designing parts with sharp intersections to avoid Filleting problems. manually create the curves from the start and then use surface tools to complete it (try to make a smooth surface using file: plastic enclosure7 (only sketches).zip)? To be honest it really depends on the final geometry that you are looking to create. In solidworks you can model the exact same geometry many different ways, so the trick is to evaluate your design when you start and plan it out accordingly. This also requires that you identify geometry that might be subject to change and design it in a way so that your control dimensions can be edited without breaking any references and having the rebuilt geometry fail. Knowing the best approach really just comes from experience and working with the software day in and day out. I've been working with solidworks almost everyday for the last 6-7 years so I've learned a few tricks along the way. Thanks for the reply. Yes, I understand the concept but I currently don't even have one method to get it done, let alone a full arsenal of choices. I just want to be able to complete it by myself. It's ok, I'll keep trying things out. I'm reading the Soliworks Surfacing and Complex Shape Modeling Bible 2008, which hopefully helps me out. MGPL- great book to start with and use as a reference. I agree with Vander, have a plan from the beginning. It takes some time to learn SW quirks, so be prepared to start things over when necessary and continuously try work-a-rounds to errors.